information about cancer | The Shiatsu Guy Team! She didn’t follow even half of the advice, but she chose a few and really stuck to them. While we were with her we cooked her healthy vegetarian food from fresh produce, filled with yummy super foods. Nutrition and diet advice for you to beat the beastie! replace black/english tea with green tea, Matcha Green tea if it’s available – high in antioxidants! Another important supplement is curcumin, which effectively addresses inflammation and has potent anti-cancer properties. Check out your personal products (skin care, soaps and cosmetics) – Some of the most common culprits to avoid include SLS, parabens, phthalates, antibacterials, musks, 1,4-dioxane, mineral oil and petrolatum, hydroquinone, nano particles, formaldehyde and formaldehyde-producing ingredients. Avoid canned foods and foods in plastic package and containers – they contain a chemical called BPA, which isn’t good for us. Eat traditionally fermented foods to help break the BPA down and lower absorption in the intestines, as well as containing health bacteria. Eat Onions and Garlic! Often! Take mega doses of Vitamin C daily! 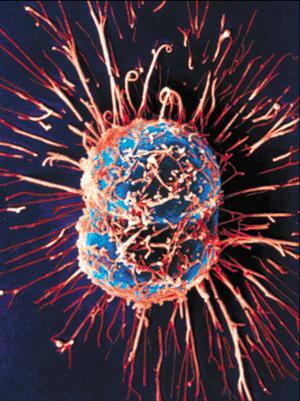 · Toxic Dose – where cancer calls and normal cells are both killed. There is no established toxic dose. Perhaps more importantly, most conventional cancer treatments tend to add insult to injury by doing more harm than good — a fact that has been largely swept under the rug by the medical industry. 1. Normalize your vitamin D levels with safe amounts of sun exposure. This works primarily by optimizing your vitamin D level. Ideally, monitor your vitamin D levels throughout the year. 2. Control your insulin levels by limiting your intake of processed foods and sugars/fructose as much as possible. 3. Get appropriate amounts of animal-based omega-3 fats. 4. Get appropriate exercise. One of the primary reasons exercise works is that it drives your insulin levels down. Controlling insulin levels is one of the most powerful ways to reduce your cancer risks. 5. Eat according to your nutritional type. The potent anti-cancer effects of this principle are very much underappreciated. When we treat cancer patients in our clinic this is one of the most powerful anti-cancer strategies we have. 6. Have a tool to permanently erase the neurological short-circuiting that can activate cancer genes. Even the CDC states that 85 percent of disease is caused by emotions. It is likely that this factor may be more important than all the other physical ones listed here, so make sure this is addressed. My particular favorite tool for this purpose, as you may know, is the Emotional Freedom Technique. 7. Only 25 percent of people eat enough vegetables, so by all means eat as many vegetables as you are comfortable with. Ideally, they should be fresh and organic. Cruciferous vegetables in particular have been identified as having potent anti-cancer properties. Remember that carb nutritional types may need up to 300 percent more vegetables than protein nutritional types. 8. Maintain an ideal body weight. 9. Get enough high-quality sleep. 10. Reduce your exposure to environmental toxins like pesticides, household chemical cleaners, synthetic air freshenersand air pollution. 11. Reduce your use of cell phones and other wireless technologies, and implement as many safety strategies as possibleif/when you cannot avoid their use. 12. Boil, poach or steam your foods, rather than frying or charbroiling them. 13. Avoid BPA, phthalates and other xenoestrogens. 14. Watch your iron levels. READ THESE FOR MORE INFORMATION ABOUT CANCER – CARRY ON FIGHTING CANCER!